Despite my rather exhaustive (and exhausting, that day) coverage of the various supermarkets in Bay Ridge and Sunset Park, I did miss some. So here's a look at what we didn't see in those two neighborhoods. All photos are from Google Maps. 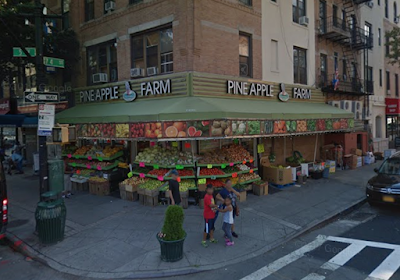 Pineapple Farm at 7402 5th Ave, Bay Ridge. 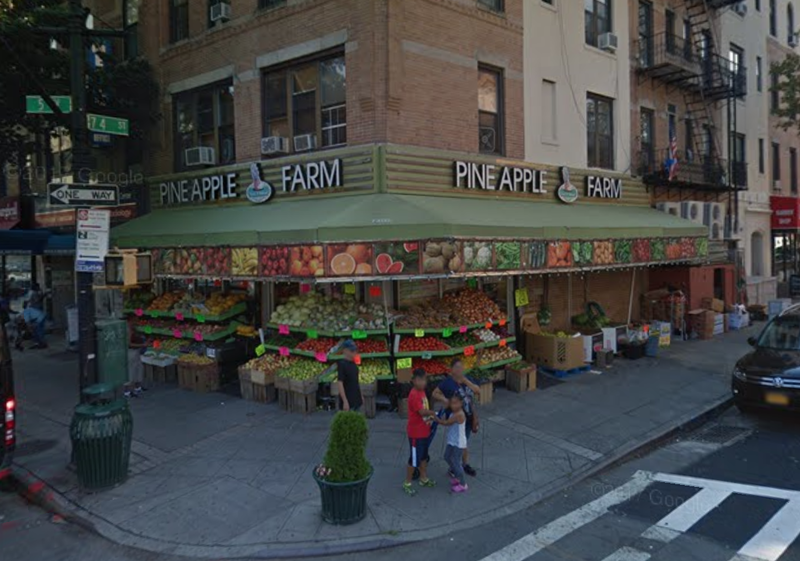 Corner greengrocer shop. 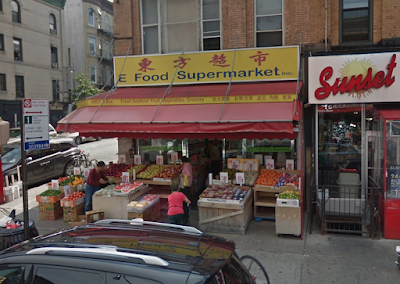 E Food Supermarket at 4901 5th Ave, Sunset Park. Store featuring virtual food. Just kidding! Chinese-centered fish and produce market. 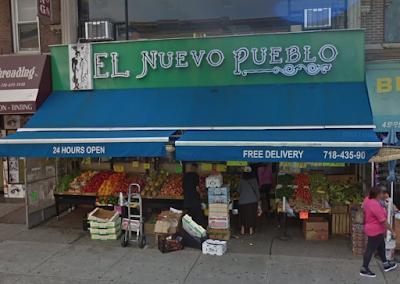 El Nuevo Pueblo at 4921 5th Ave, Sunset Park. 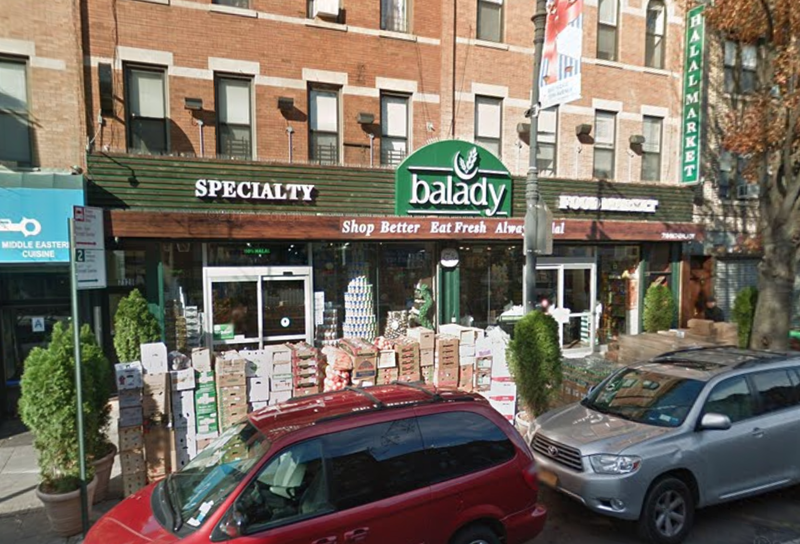 24-hour produce and grocery shop featuring Latin and natural products. 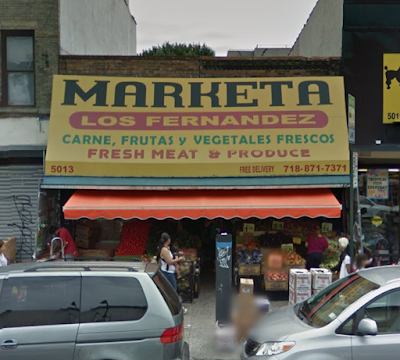 Marketa Los Fernandez at 5013 5th Ave, Sunset Park. I cannot explain the name. Latin-centered butcher shop and produce market. One more post tomorrow on our Brooklyn tour!